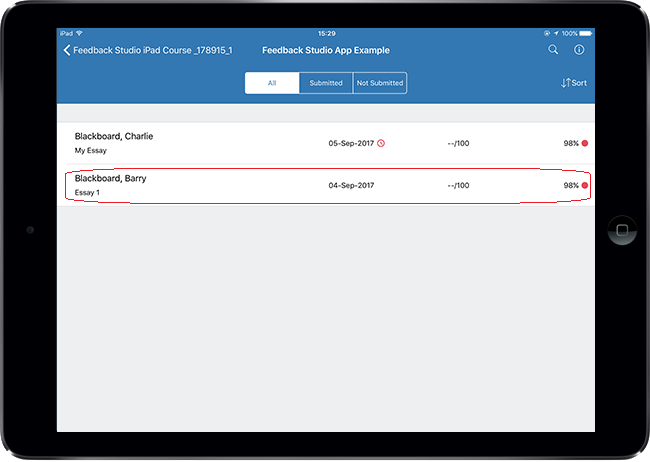 Text comments are simple manually added comments which are designed for more specific / directed feedback on a per-user basis. 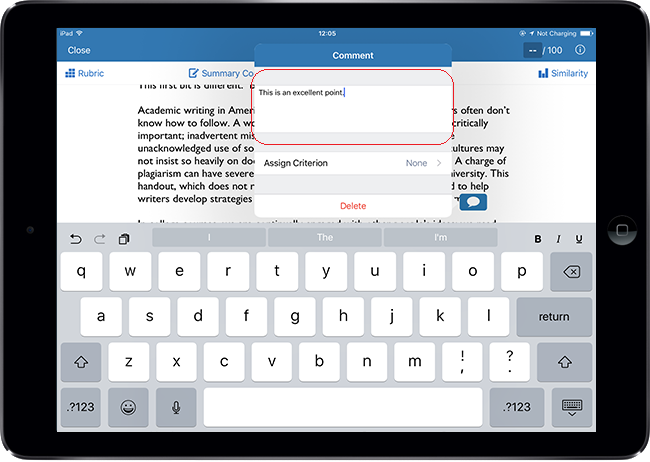 This guide explains how to add a text comment (without highlighting text) using the Feedback Studio iPad app. 2. Tap the screen in the location you wish to add the text comment. 3. Tap the Speech Bubble icon on the pop-up. 4. Type your comment into the box. When you have finished typing in your comment you should tap elswhere on the paper to save your comment. 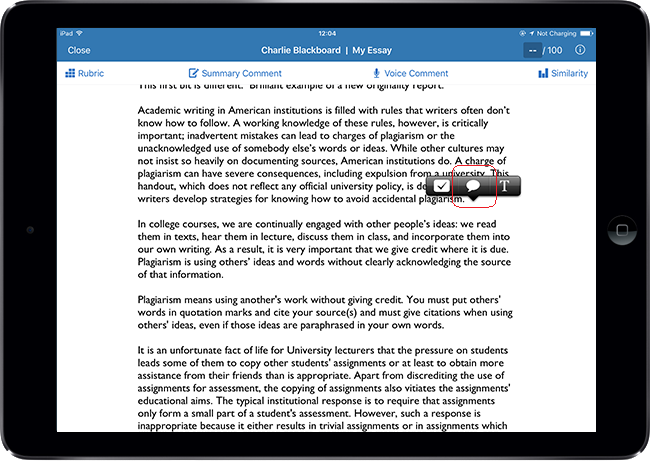 Note that if you are using rubrics, you may also wish to assign criterion to your comment to link it to the rubric. 5. Your comment has been saved. To edit the comment simply tap the blue speech bubble icon.